Discussion in 'Announcements' started by matagin, Jul 2, 2018. Sad to announce but myself, @OnePound, and @Mag have decided to not pursue re-opening Icewynd. Over the past few months, many things have taken higher priority such as school, work, and family. This has impacted our ability to finish the server/plugin work. I have mainly been on the sidelines as they did a ton of work creating custom plugins, re-working the forums and Discord, etc. There are some things related to host server administration that I did but I just don't have the time or interest to work on. We also feel that we will not have a large playerbase that will stick around for long after the server reopens. We would hate to continue to put so much effort into it and experience a weak return on that effort. Factions servers require a lot of factions that continue to play and it can be difficult to keep people playing if bugs are not fixed quickly or new content is not released fast enough. As you know, running a Factions server is extremely demanding and is literally a full time job. Players expect everything to be perfect and there are always bugs or issues that come up and require round the clock devotion from the administrative staff and developers. I personally am very busy with work and my family. I do not have the time or desire to devote to the server and community that I used to years ago. @OnePound will eventually be busy with school again and @Mag has moved on to other interests. We appreciate everyone's enthusiasm and dedication to the Icewynd community. You guys are awesome as always.  I will leave the Discord channel open and the forums as always to chat about the "old days" and for everyone to keep in touch. Thanks for understanding. Damn.. i was looking forward to it.